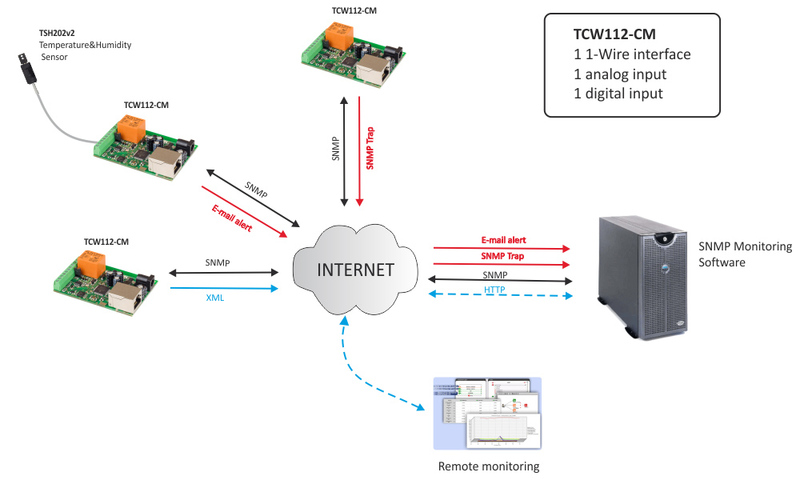 TCW112-CM is a remote environmental monitoring board with SNMP v.1 support. 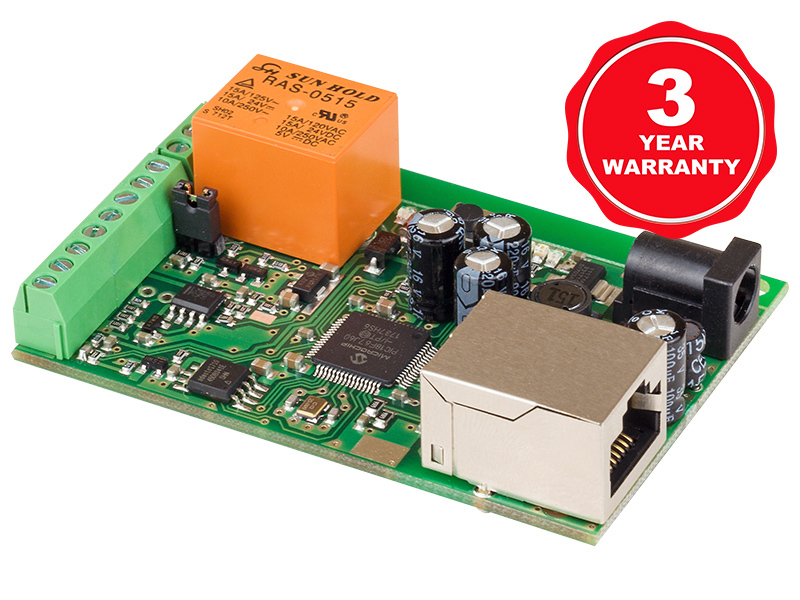 TCW112-CM is remote environmental monitoring board. It is designed to be managed by WEB interface, SNMP programs and user applications over HTTP/XML API commands. 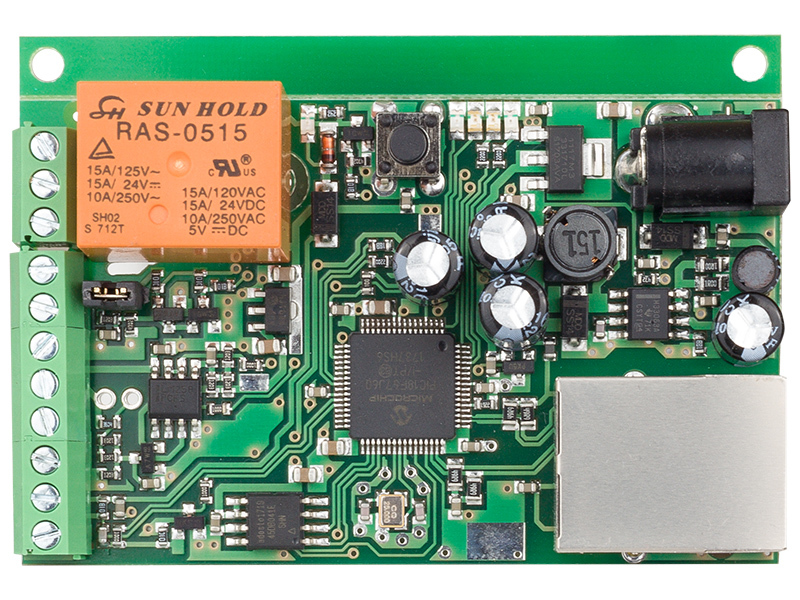 The remote environmental monitoring board can be used as a standalone device or as a part of control and monitoring systems. The board supports one digital and one analog input. Its relay has normally open and normally closed contacts. 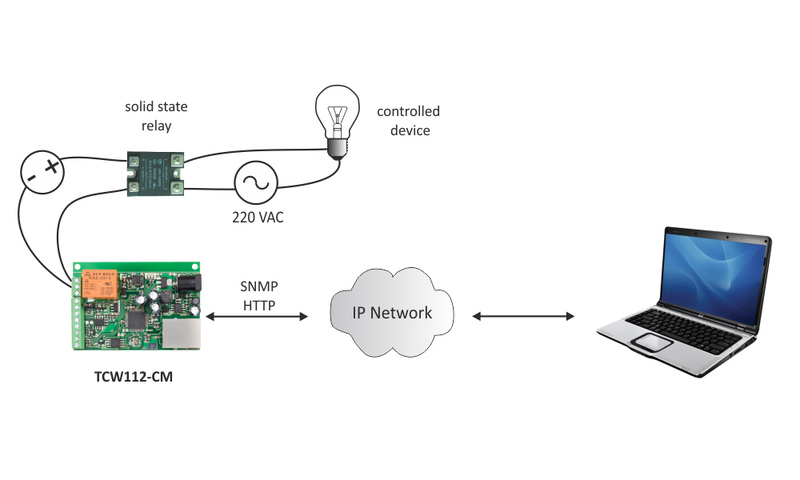 The relay can be activated remotely (WEB, SNMP, API, etc.) and locally from the status of monitored parameter – temperature, humidity, analog voltage and status of digital input. For every monitored parameter e-mail and/or SNMP trap can be sent if it goes outside previously set-up range. 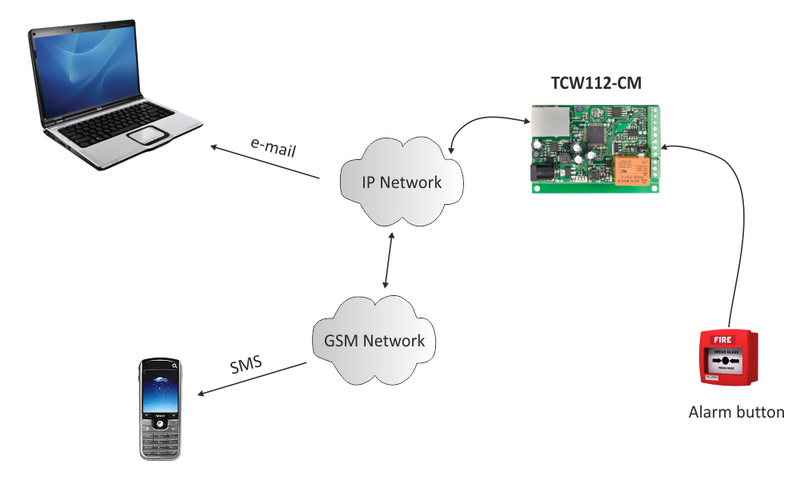 Control and management of small networks.